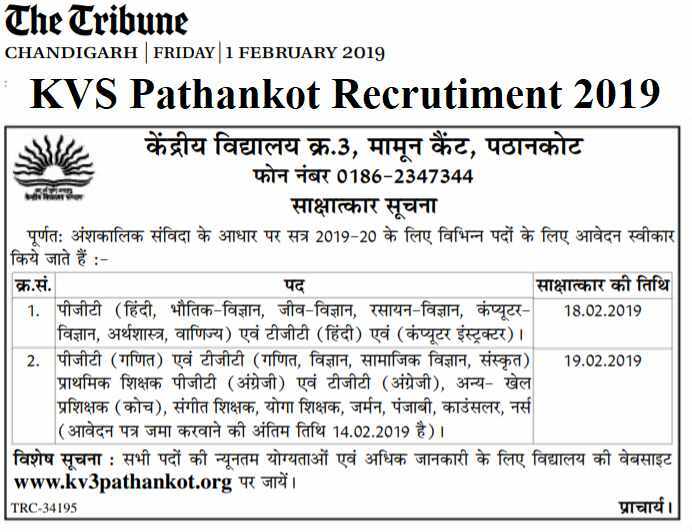 Subject: KVS Pathankot Recruitment for TGT, PGT, Primary Teacher, Sports Coach, Yoga Teacher,Counselors, and Nurse Posts. This recruitment process is on direct walk=in-Interview basis. There are various Interview dates for the selection of the candidates. Check the able below for more information. 18TH, 19TH Feb. 2019 is the Interview Dates.